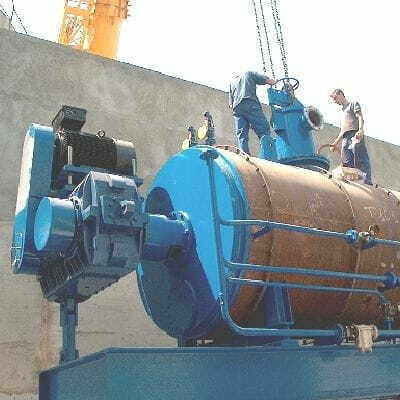 Batch cooker for drying and sterilization/pasteurization. The batch cookers made by Bigas alsina, S.A. designed and manufactured at our facilities in Girona, are robust machines built on the basis of the experience gained after more than thirty years devoted to the construction of machinery for the animal waste material. Equipped with two turrets, one exclusively for loading, and the other one for evacuation of the evaporated water from the product, allows the loading and unloading operations from the control panel, giving a smooth and comfortable operation to the user.